Leading Telecommunications service provider, Airtel Nigeria, has become the first service provider to create a special Blackberry Messenger (BBM) bundle for the teeming number of Nigerians who now use the Blackberry Messenger (BBM) for Android and iPhones. This bundle provides great opportunity and access for Airtel customers to chat with friends, family and loved ones, as much as they want with the monthly plans, which allow unrestricted data usage for BBM-related activity within a 30-day subscription window. To enjoy the special BlackBerry Messenger offering for smartphone users, customers are to dial *440*22#, *440*23# and *440*24# for the Monthly, Weekly and Daily plans respectively. The Airtel special BBM daily plan attracts N100 charge; the Weekly plan goes for N200 while customers can activate the Monthly plan for N300. All these plans enable customers enjoy a full month BlackBerry Messenger access. According to the Chief Operating Officer and Executive Director of Airtel, Deepak Srivastava, the newly introduced BlackBerry Messenger Bundle for Smartphone, which is coming less than a month after global launch of service, affirms the company's innovativeness and customer-centricity. He asserted that Airtel is always swift in its response to impact customers with the latest technology trends, especially those that provide them great telecoms experience. 'The demand for BlackBerry Messenger on smartphones is unprecedented and as a company that thrives on innovation and customer satisfaction, we had to be swift in providing our customers with added value and further delight their BB service experience with the BBM bundle plans. 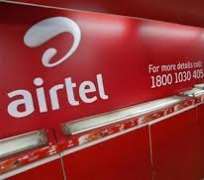 In addition, the offering will enable our customers to experience the efficacy and robustness of Airtel's 3.75g service', he said.